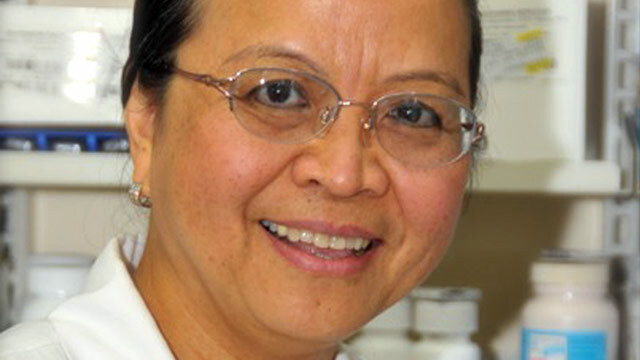 Anhue Doan, 59, was a pharmacist for Walmart until she said she was fired after praying with customers. A former pharmacist at a Walmart in California said she was fired by the retail giant because of her Christian beliefs. Now she is suing for religious discrimination, saying the store claimed to have caught her praying with a customer on camera, and cited that as the reason for termination. In January 2006, Anhue Doan of Bakersfield, Calif., about 125 miles northeast of Santa Barbara, became a retail pharmacist at a Walmart store in her city that is known for its oil and agriculture. Darren Harris, the attorney representing Doan from the law firm Spray, Gould & Bowers LLP, said she does not deny praying with customers when they requested to do so. "She does however deny that she was praying when she was allegedly caught on video," he told ABC News. "She was simply touching a patient and talking with her, which Walmart interpreted as praying with her." Her termination letter does not mention praying and instead cites "misconduct," which Doan believes was in reference to allegedly praying with patients, according to Harris. Walmart declined to comment about the surveillance tape or discuss the reasons for termination. Randy Hargrove, a spokesman for Walmart, said the company "has a zero tolerance policy with respect to harassment or discrimination, including religious discrimination." "We make reasonable accommodations for religious reasons," he said in a statement. "We have not had an opportunity to review the lawsuit. We will thoroughly investigate the allegations that are being raised once we receive the complaint." Walmart, based in Bentonville, Ark., is the largest employer in the U.S. with over 4,500 retail facilities and 1.4 million employees in the U.S. alone. It was in June 2011, when Doan, now 59, was "written up specifically for stating that she would pray for customers and stating to customers, 'be healed'," according to her complaint. Her employer said she "could no longer pray for customers, and stated that she would be terminated if she continued doing so," according to the lawsuit she filed in a California Superior Court in Kern County. Her attorney believes Doan was labeled as a "troublemaker" after she sent an email to her managers noting "several compliance issues with other employees," such as bringing drinks into the pharmacy, pharmacists not following DEA requirements for controlled substances, using cell phones in the pharmacy and other prohibited actions. Doan also claims that she believes Walmart assigned her duties "to other workers who were not religious," which she said constitutes illegal discrimination. The lawsuit alleges that when her employer "learned" of her religion, her supervisors "surreptitiously resolved to replace [her] and terminate her employment, rather than afford her reasonable accommodations to which she was entitled under the law." In Dec. 2011, Doan says, her district manager brought her into his office and showed her a surveillance tape without sound that showed Doan "touching a customer's hand, as well as the customer crying." Doan recalls that he then told her the video showed that she "was praying and that they were going to terminate her," despite lacking "good cause" to do so. She was fired on Dec. 8. Harris said his client had hoped to work for Walmart until she retired. She was just shy of her six-year anniversary and had earned over $170,000 plus benefits last year, he said. She is currently unemployed despite "diligent efforts" to find comparable employment, according to Harris and the complaint. "What she hopes to accomplish is to make Walmart aware that this practice is illegal and she hopes to recover damages for her significant lost wages -- past and future -- as well as emotional distress damages for what she has gone through as well as the recovery of her attorney's fees for having to file this action," he said.